Friendly Female dentists with a passion to make you smile! 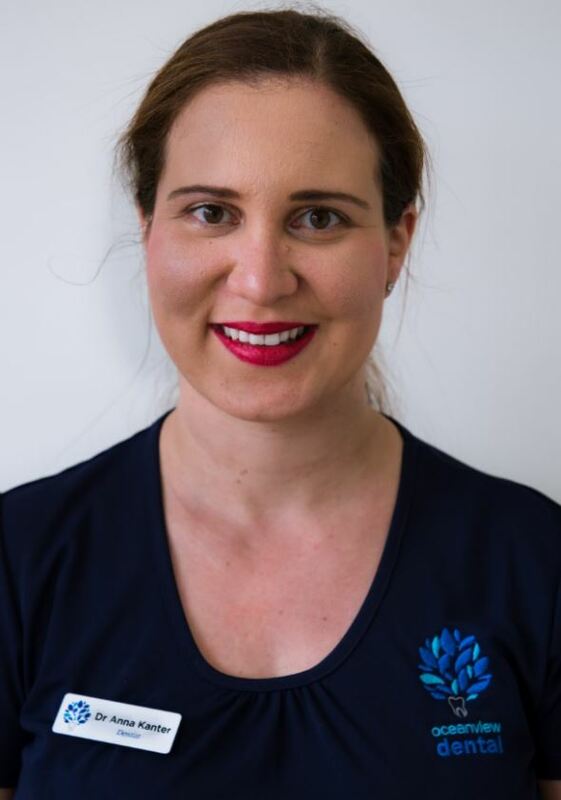 Dr Anna Kanter attended a local high school in Adelaide and was one of 8 Adelaide school leavers to be selected into the Bachelor of Dental Surgery course at the University of Adelaide in 2004. Throughout university, Dr Anna Kanter was involved in numerous social events, including being a class representative and an active member of the Adelaide University Dental Student Society (AUDSS). In 2007 Dr Anna Kanter was awarded the Wilson Prize for Ethical Conduct. Being an ethical health care provider has always been at the forefront of Dr Anna Kanter’s treatment and good ethical conduct is one of the reasons patients keep returning to see her. In the following year Dr Anna Kanter was also recognized for having attained the highest standard in Endodontology (root canal treatment) in the fourth annual examination. Dr Anna Kanter has subsequently completed numerous extensive courses on root canal treatment and enjoys the clinical challenge this treatment provides. After graduating, Dr Anna Kanter moved to Melbourne to work in the Special Needs Unit at the Royal Dental Hospital of Melbourne. Here she extended her skills in treating patients with special requirements. In 2009 Dr Anna Kanter moved to Mildura, in north west Victoria where she was fortunate enough to be mentored by numerous senior dentists. Working with an exceptional auxiliary team, was able to really hone her clinical skills. Dr Anna Kanter also received an appointment as a visiting dentist at the Mildura Base Hospital where she provided treatment under general anaesthetic to children and adults with dental anxiety. Upon returning to Adelaide, Dr Anna Kanter knew that she wanted to establish a practice where she could treat patients in a comfortable and professional environment. Dr Anna Kanter wanted her practice to be not only clinically exceptional, but to also be a leading green dental clinic in the community. Ocean View Dental is an eco-friendly practice, choosing an environmentally-sound options wherever this is available. Outside of work Dr Anna Kanter loves travelling and her biggest travel adventure was climbing to Mt Everest Base Camp! On the weekends Anna and her partner Brian are often seen at the Adelaide Oval supporting PAFC. Dr Anna Kanter and Brian were married in late 2016. Dr Anna Kanter is committed to providing high quality dental care and takes pride in continuing her education and developing both her knowledge and skills, please click here to see a list of courses that Dr Kanter has attended. Dr Denise Hsueh completed her Bachelor of Dental Surgery at the University of Adelaide and has since been working in various private and government private clinics across Adelaide. Originally from Sydney, Dr Hsueh moved to Adelaide to pursue her dream of studying at one of Australia’s oldest and most prestigious dental schools and has been here ever since. During her time at university she was heavily involved in the school’s community – she was a class representative and served as an executive member of the Adelaide University Dental Students’ Society for two years. She is a firm believer in giving back to the community and has volunteered as a mentor for junior dental students and organised fundraising events for an outreach dental clinic. Dr Hsueh is a friendly and gentle dentist who understands that every patient has different needs. She focuses on tailoring treatment to each individual and employing ethical and preventative strategies. She loves the variety of general dentistry whether it be cosmetic dentistry, getting people out of pain or working with young children. Dr Denise Hsueh spends her spare time attending courses to learn more about the latest developments in dentistry, keeping herself active at the gym and enjoying all of Adelaide’s delicious food. Dr Jun Yong was born in Malaysia, migrating to Adelaide in 1995 with her family. After completing her schooling she went on to graduate from The University of Adelaide with her Bachelor of Dental Surgery. Since finishing her degree, Dr Yong has worked in both public and private clinics in South Australia. She began her dental career working in the public sector with SA Dental in the Northern suburbs, seeing patients of all ages and tackling a range of emergency cases. More recently she had spent her time working in the country town of Port Augusta for several years, roughly 300kms from Adelaide. Here, she has had the opportunity to gain invaluable dental experience, working closely with a diverse community in the local private practice to provide holistic and patient-centered care. Dr Yong is a caring, easy-going dentist who takes time with her patients, ensuring each patient feels comfortable and receives the best care to suit their needs. She enjoys all aspects of general dentistry, with a particular interest in preventative and cosmetic dentistry. When she is not busy seeing patients at the clinic, Dr Yong loves to spend quality time with family and friends, travelling overseas and keeps active by hiking and playing badminton.